A few years ago, keywords were really important to site owners. The entire SEO campaign revolved around keywords being selected and targeted for the site. In fact, Google and other search engines ranked websites solely based on keywords appearing on the pages and links. Today, however, search engines are much smarter than that. Crawlers no longer focus on keywords and instead capture user experience, readability, site performance and other metrics to analyse. Sites are ranked on more factors, including location and the quality of the site’s content. Does this mean keyword research is no longer important? The first shift towards a keyword-less SEO belief started when Hummingbird was first introduced. A lot of SEO experts mistakenly took Google’s new Hummingbird algorithm as the search engine’s attempt to ignore keywords on a page and analyse the pages it ranked as a whole. While this is not entirely a mistaken belief, it is also not true. Hummingbird didn’t ignore keywords or downplay the importance of having the right keywords on a page. It simply changed the way the search engine valuate and rank websites, acting as one of over 200 parameters used by a comprehensive algorithm. The shift means it is no longer useful to target generic keywords or do things like fill the page with a lot of keywords just to gain exposure. In fact, these tactics will only get the page penalized. It is now more effective to take the natural language of your audience into consideration and use long-tail keywords that match the audience you’re targeting. While keyword stuffing and targeting specific keywords by adding them all over the page are no longer effective, the importance of doing keyword research is still very high. To be able to understand your target audience, the terms they usually use to search for information and the right kind of content to push forward, keyword research is still the instrument to use. Google and other search engines now look for meaning and not just specific keywords. For example, the phrases “auto repair garage” and “car repair shop” are understood as the same thing and will help Google understand what your site is all about, even when these phrases are placed on different pages. The algorithms behind search engines are far more flexible then they were a few years ago, taking semantics and structure into considerations too. These algorithms are so smart, it can even take local slang words and language styles into consideration. 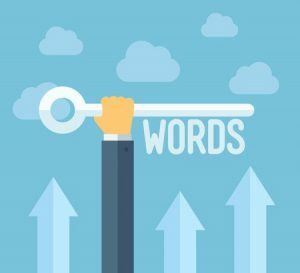 So, is keyword research still important? As mentioned before, it is still an essential part of formulating an effective SEO strategy. The only difference is that you now have other things to focus on instead of generic keywords. You can start by finding keywords that users from a particular area – the target audience you’re aiming for – search for. Keep in mind that this is just the first step. Once the research is completed, you also need to develop long-tail keywords that match the local style and searches, integrate them naturally into the content of your site and deliver that content by offering an optimum user experience. These are today’s best ways of getting the best SEO performance from your site. I think the keyword research is very important. The big change has indeed been carried out by the search engines, be smarter. They are able to interpret the meaning of a word even if it is not a primary keyword. The use of long tail keywords and phrases are approaching the main keyword seemed much better because it avoids the repetition of keywords in an article.